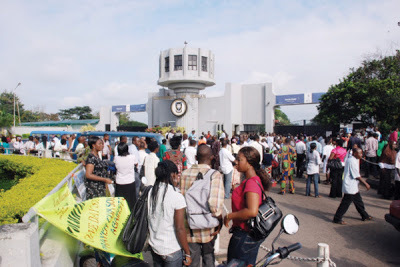 The Federal Ministry of Education has debunked the news trending on social media that the Federal Government had approved the hike in tuition fees of Nigerian universities to N350,000. Mr Sonny Echono, the Permanent Secretary in the ministry made the clarification at a symposium in Abuja. Echono, who said the Federal Government was not planning to increase the tuition fees, urged Nigerians to remain calm on the issue. “The Federal Government did not and has no intention of introducing new tuition fees in our public universities not to mention the figure to N350, 000. “What is true is that the present administration is committed to guarantee quality of education. “President Muhammadu Buhari has directed the ministry of education along with the ministry of finance to jointly organise a workshop that will inform on a very sustainable and workable recommendation of funding education in Nigeria. “And to this end, we have been engaging various stakeholders including ASUU who can come up with a very useful contribution that will bring all these recommendations achievable." Echono however admitted that the ministry was working toward re-establishing the education bank to address the role of education funding as the government cannot do it alone. He said the role of the education bank would be to give loan at a low interest rate, saying this would not be limited to students alone but also parents. Obviously, there is a political move going on.